Producing a body of work whose impact on contemporary art has been profound and continues to grow, Helen Frankenthaler is regarded as one of the most influential artists of the mid-twentieth century. Inventing the color-stain technique, in which she poured turpentine-thinned paint onto canvas, she is widely credited for playing a pivotal role in the transition from Abstract Expressionism to Color Field painting. The first major exhibition of Frankenthaler’s work in Paris in more than fifty years will soon be on view at the Gagosian. 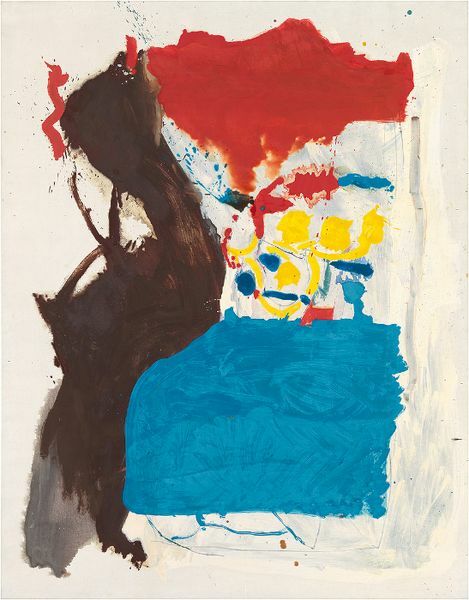 Titled Helen Frankenthaler: After Abstract Expressionism, 1959–1962, the exhibition will feature includes paintings and works on paper, several of which have not been exhibited since the early 1960s. 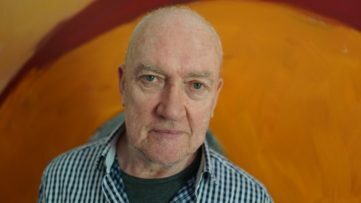 Featuring fourteen paintings and two works on paper, the expositions explores a radical, lesser-known body of work Frankenthaler has produced in the end of 1950s. 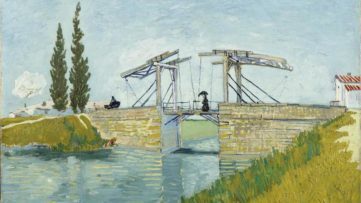 Several years before that, she invented the technique of pouring and brushing turpentine-tinned paint so that it soaked into raw canvas, a technique she has been widely praised for. 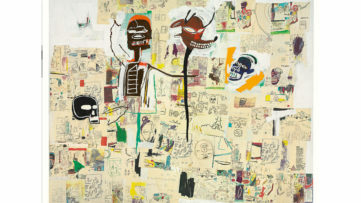 Yet, the pieces featured in the exhibition reveal her deliberate return to the gestural improvisation of Abstract Expressionism, as a way of moving her practice forward. 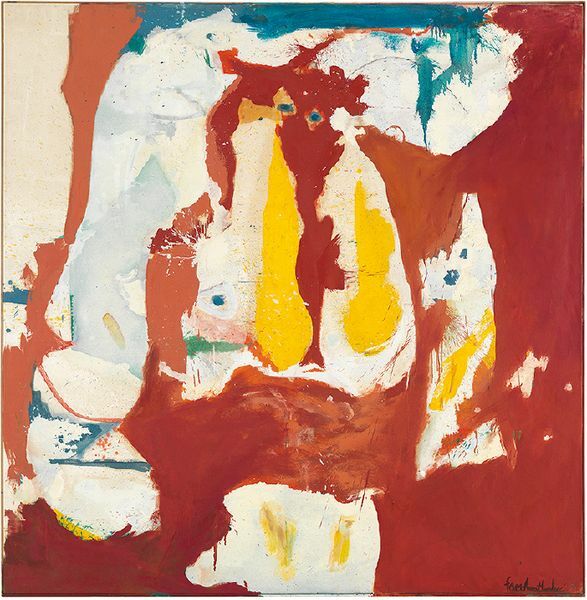 Described by the curator John Elderfield as “think-tough, paint-tough” due to their imposing scale and vigorously expressive brushwork, the pieces from the series include First Creatures from 1959, an abstract, indeterminate landscape exhibited here for the first time, and Mediterranean Thoughts from 1960, in which Frankenthaler’s looping skeins of poured paint create partitions of varying sizes, leaving very little exposed canvas. 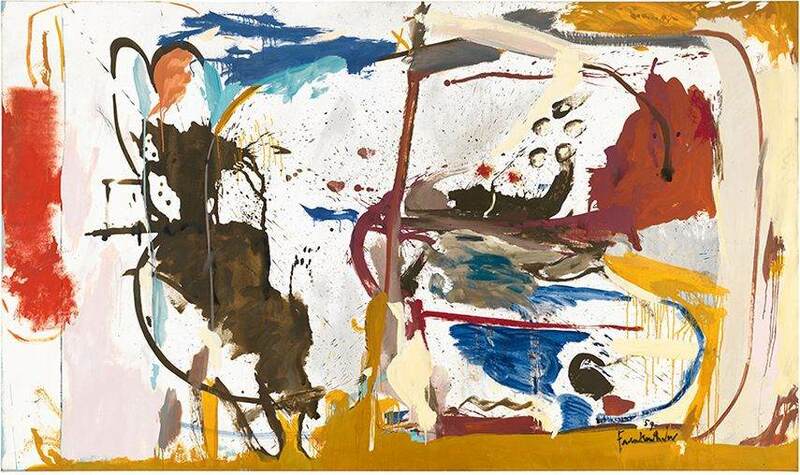 During her career that spanned six decades, Helen Frankenthaler expanded the possibilities of abstract painting, while at times referencing figuration and landscape in unique ways. “My pictures are full of climates, abstract climates,” she once said. “They’re not nature per se, but a feeling.” The exhibition Helen Frankenthaler: After Abstract Expressionism, 1959–1962 will be on view at Gagosian Paris from June 9th until September 16th, 2017. The exhibition is accompanied by a bilingual, fully illustrated catalog, including a new essay by John Elderfield. 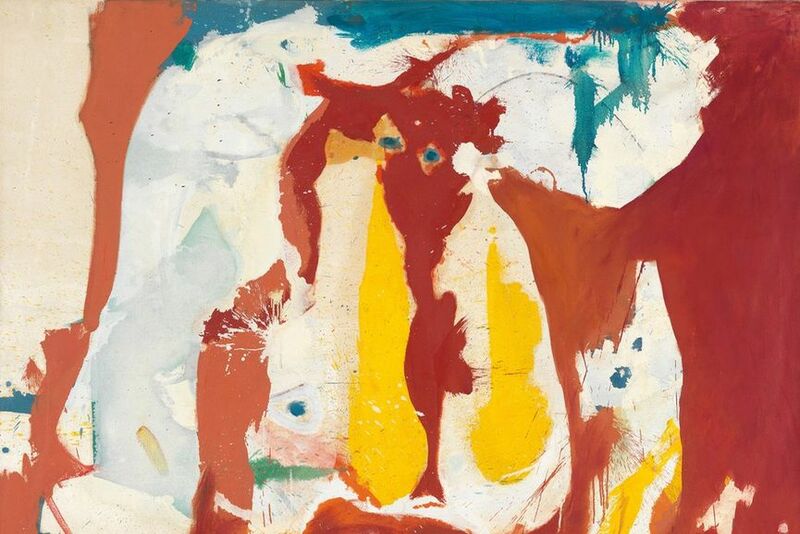 Featured images: Helen Frankenthaler – The Red Sea, 1959 (detail). All images courtesy of Gagosian.